"Rather than tribute a particular band, this quintet celebrates the whole decade, across genres, resulting in a set list that can mix Weezer, Notorious B.I.G., Lenny Kravitz and Naughty by Nature. 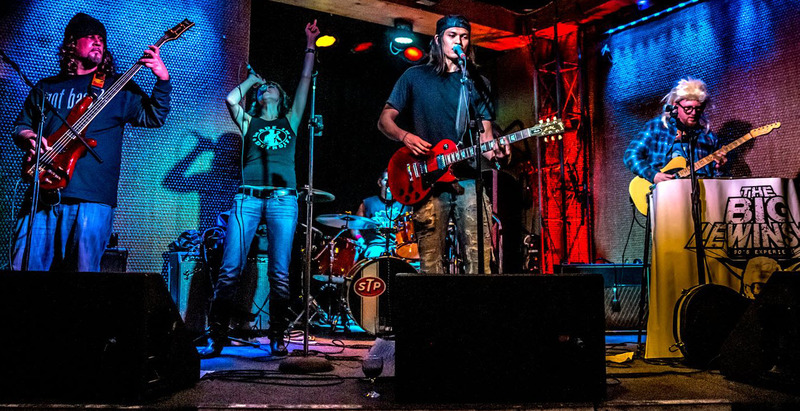 Anyone who is tired of the basic classic rock set list of many bar bands will enjoy The Big Lewinsky’s sets of more recent favorites." Rap. Hip Hop. Pop. Rock. One Hit Wonders. Fun! The Big Lewinsky is the best 90's band you've never seen. Ask any of these witnesses, dude. The Big Lewinsky plays Private/Corporate Events, and Weddings. Click here to book us now! All Rights Reserved. © The Big Lewinsky. Support Local Music.